Thankfully, this guy was holding on because if he hadn't been, he would have been washed out to sea. 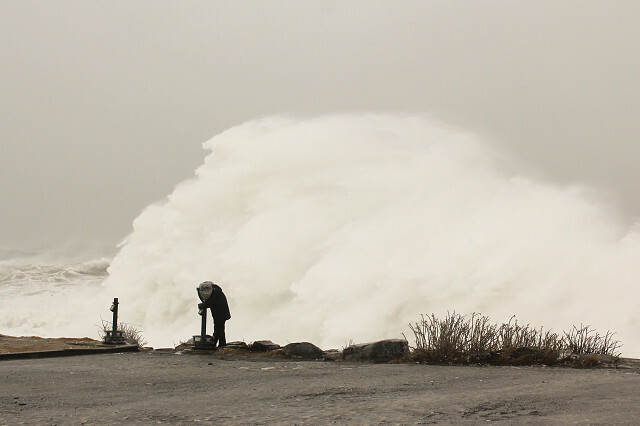 The tale end of that wave came crashing right over him and almost up to where I was standing. What a blizzard this has been. We've been out driving around for most of the morning looking at the crashing waves and sky high snow drifts.